Should we call it the OnePlus X? While it's still likely several weeks away from being announced, we already have a pretty good picture of the OnePlus 6. After divulging that its next handset would indeed include a notch in the screen for the camera, the company has dropped a few more tantalizing details about its next phone, and it looks to be a screamer. The Snapdragon 845 is Qualcomm’s latest flagship processor, bringing speed boosts and better battery to Android’s top phones—including the OnePlus 6. Samsung’s Galaxy S9 and S9+ were the first phone to feature it, but many more are due to follow, including the Sony Xperia XZ2 and Nokia 9. Along with the Snapdragon 845 chip, the OnePlus 6 will pack 8GB of RAM and 256GB of storage. Those specs are likely for the step-up model of the OnePlus 6, which traditionally costs $60 more than the base model. 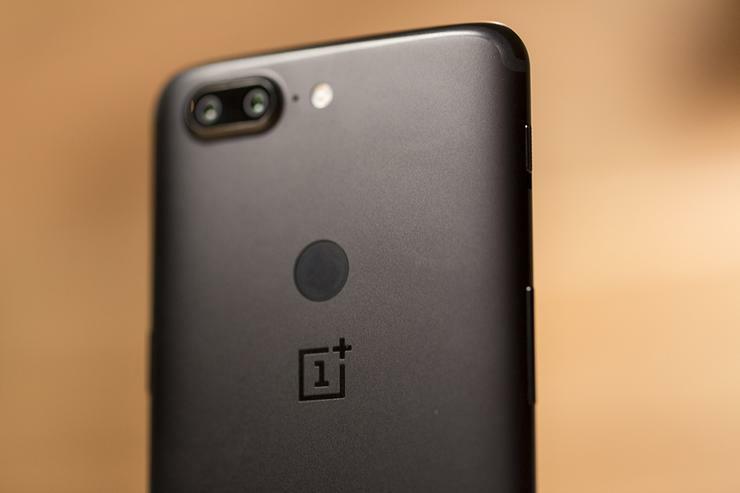 With the OnePlus 5T (pictured above), the company charged $499 for 6GB of RAM with 64GB of storage, and $559 for 8GB of RAM with 128GB of storage. However, there have been reports that the OnePlus 6 will have a higher starting price than the 5T, which could push the 256GB version over $600. It's rare to find an Android phone with 256GB of storage, but OnePlus is one of the few phone makers that doesn't include a slot for expandable storage. Neither does Apple, and it introduced a 256GB option in its iPhone 8 and iPhone X last year. 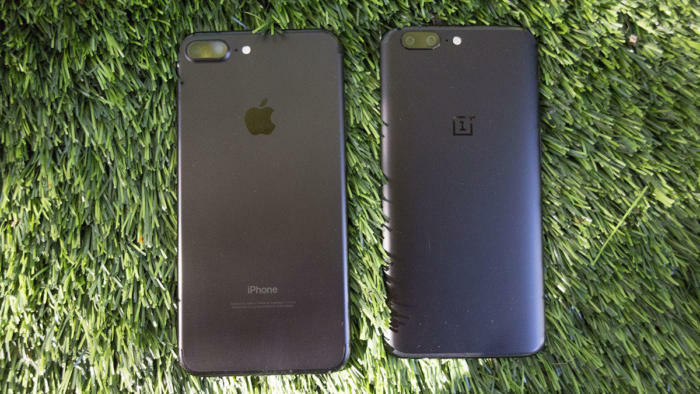 The OnePlus 5 (right) borrowed design features from iPhone 7 and the 6 will do the same with iPhone X. Storage capacity isn't all the OnePlus 6 is borrowing from iPhone X. In a previous interview, OnePlus co-founder Carl Pei told The Verge that the OnePlus 6 will sport an increasingly-fashionable notch at the top of the screen: "Our notch, it will be there," he added, noting: "I'll be bigger than the Essential Phone, smaller than the iPhone." After poking fun at the iPhone X's notch when it launched last year, more Android phones have been embracing the notch as a design element in 2018. And OnePlus has never shied away from copying Apple’s latest trends. Last year’s OnePlus 5 and 5T were virtually indistinguishable from the iPhone 7, with a matte aluminum back and a horizontal dual camera in the top right. 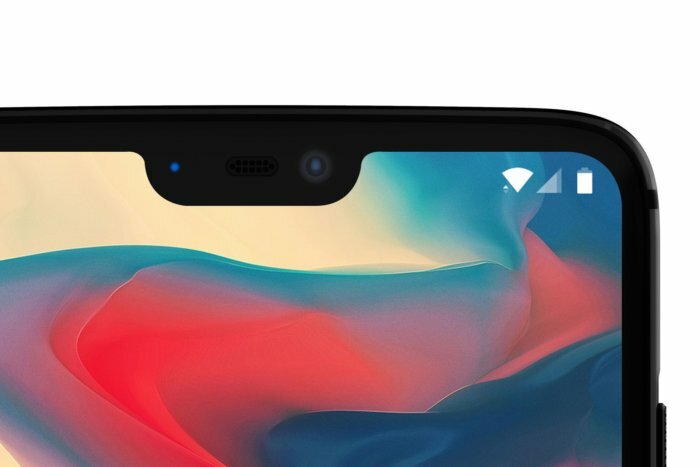 OnePlus provided an exclusive picture to The Verge showing the notch on its next flagship phone. OnePlus hasn’t said when the new phone will release, but with so many teases, a launch appears to be imminent. The OnePlus 5T has been out of stock in the U.S. since last month and OnePlus has said it won't be offering it for sale any longer. The impact on you at home: While the specs here aren’t much of a surprise, an Android phone with a Snapdragon 845 processor, 8GB of RAM, and 256GB of storage is certainly exciting. (For comparison’s sake, Samsung’s Galaxy S9 has 64GB of storage and 6GB of RAM.) We’ve always been big fans of OnePlus’s near-stock Android OS and low prices, and the OnePlus 6 looks to continue with its string of hits. And maybe this year we'll even get wireless charging now that Apple has it too.